Hello! Does anyone else feel like this winter seems more unpleasant than usual? Maybe it's the freezing temperatures or scattering of dirty snow that's still on the ground but I can't stand this winter. For this look, I slipped on a tropical floral printed dress in hopes of urging spring to come more quickly. 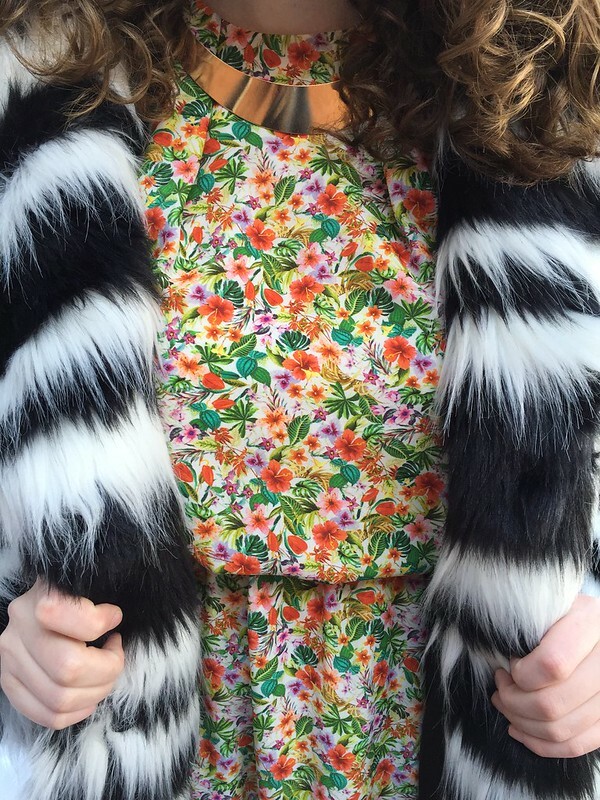 However, it's clearly not spring yet so I layered a mega black and white faux fur coat over the dress. I like the way that the prints and colors of the dress and coat contrast in a way that complements the combination.